User, log on to the quarantine server to release blocked items or to setup trusted senders etc. A Dynamic IT (Information Technology) Company, we offer a wide range of products including but not limited to Consultation, PC, Laptop and Printer Sales, Networking, Web Hosting, Domain Registration and E-Mail Hosting, Maintenance Agreement, On-Site Service Repair and Support. Since our inception in 1986 Tracedata continues to provide a complete range of computer equipment and related services. We consult, design, implement, service and maintain systems and networks for a variety of Businesses, Golf Clubs, Schools and Non Profit Organizations. Our commitment has always been to provide our clients with the highest level of service, support, expertise, integrity and confidentiality. Inventory is readily available to satisfy the demand of day-to-day sales, servicing and support. Centrally located, Tracedata is equally accessible to both the Metro and GTA area, with a response travel time of between 2 to 4 hours. With our vast knowledge base and experienced staff we offer quick and effective solutions to any Installation or computer related issues. A successful company is indicative of its treatment of its most valuable asset...................its customers. In today's vast and complex computer marketplace, Tracedata Services Inc. provides services that reduce the stress of computing choices. A computer sales, networking, and services company, Tracedata focuses on your corporate technical needs, providing a menu of services that ensures the smooth set-up, operation and maintenance of personal computers (PCs), local area networks (LANs), and operating systems (OSs). 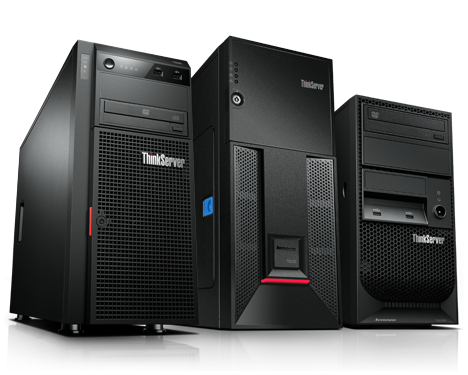 We specialize in servicing hardware (PCs) and their associated peripherals - and other integral computer related products. A pioneer within the industry, Tracedata has established an impressive clientele representative of companies from the service, hospitality, utility and educational fields. We interface with our clients, assessing their current hardware and software with the intention of developing the best possible system, system integration and network, creating a powerful computing environment designed for optimum performance. Tracedata Services assist companies so they get on line rapidly and efficiently. Our technical support removes the anxiety of setting-up, modifying, and updating equipment or networking. Plus, there is the added support of our computer hardware maintenance agreement. Our computer experience not only guarantees our technical expertise, but also enhances our client servicing. Because we understand computers, we are able to provide, for our customers, solutions that work now and in the future. Tracedata Services Inc., working with you, working for you, on all your computing needs. Tracedata Services Inc. provides a menu of services that reflects the essential needs of any corporate business requiring computer or technical expertise. Whether you are upgrading an aging system, integrating new equipment with existing computers or setting up a local area network, Tracedata Services can provide professional service and technical expertise every step of the way. We assess your current situation and make recommendations on hardware that can best serve your business and budget. We can improve functionality of current systems or provide new equipment to match exact specifications and requirements. Our years in the computer business enable us to source from a huge pool of equipment manufacturers, guaranteeing state-of-the-art products. As a systems integrator, Tracedata stands behind all its products and warranties. Our resources are there to assist you in choosing, upgrading or changing your software packages. We do all software installations and upgrades on-site, and when needed we consult with software specialists for customize programs for your industry. Tracedata specializes in installing small and mid size business networking systems, both peer-to-peer or client-server systems. Working step by step with every client, we analyze current needs and provide network design and implementation, including our recommendations for future expansions and migration paths. We provide everything from the ground up. We start with the layout, cabling connections, then on to any electronic changes necessary. On-site management is provided until the system is up and running to specifications. Tracedata can make recommendations on networking existing computers, as well as providing new equipment, or integrate the two; whatever is required to provide peak performance and affordability. For contracted work, Tracedata offers full and comprehensive maintenance agreements. Small Business without EDP management or trained technical staff can efficiently and effectively manage their operating system, computers, peripherals or network through a maintenance agreement. (Please refer to our spec sheet on maintenance or call us at (416) 291-4097 to receive further information). Tracedata technicians work on-site to diagnose and correct any operational problems. Customers with maintenance agreements receive top priority and are guaranteed an on-site response time of 2-4 hours. Businesses that operate round-the-clock may wish to have an Emergency Service contract written into their Maintenance Agreement. This provision allows for technical support and servicing after regular office hours, on weekends, or on holidays. Regularly scheduled preventative maintenance is paramount for smooth running systems. A service package provides this and should be contracted in any maintenance agreement. For many businesses, this is the most cost efficient way to ensure computers and peripherals are kept in top running order and reduces the need for in-house technical support. When in-shop maintenance is required for any computer or peripheral a replacement part of equal or better quality can be provided on a short-term basis. Tracedata provides additional support in other areas such as cabling, etc. Since these services, in most cases are one time only, this does not necessitate any additional amendment to the agreement. All projects are quoted at an hourly rate and estimates are given for approval. Moving or just rearranging the floor space can be a technical nightmare without experienced personnel. Tracedata's installation service provides expertise in interconnecting peripherals, cabling, examining and configuring electronic boards as well as performing all diagnostic routines. We execute testing and verification of proper communication protocol, disconnecting of equipment and networks and prepare them for relocation. Most maintenance agreements provide for in-shop servicing, however, some customers may have random equipment problems that require more extensive repair than an on-site servicing can accomplish. Defective equipment repaired in-shop, is serviced at an hourly rate, all parts are extra. Older or nonessential equipment can be made serviceable when reconditioned or upgraded. Possible usage of equipment, such as printers or fax servers, may include other areas of the business. All reconditioning is done in-shop. Tracedata is the IT manager for many businesses. Our high quality, service and maintenance support, coupled with our ‘user friendly’ style, has earned us the trust, respect and confidence of many companies. We are capable of managing all your computing needs. We are a dynamic company, flexible enough to maneuver through the ever changing and diverse computer industry, yet stable enough to weather the tumultuous storms of the business climate. Perhaps you're a small or mid size business enterprise attempting to computerize your operation, or a growing concern needing more performance from your Network. Tracedata Services can help. We have the expertise and resources that keep our customers operational. Providing customers with technical support is a must for any company. Tracedata offers a wide variety of troubleshooting options including on-site support. Technicians are always available, not only to fix network issues but also to pass on techniques and recommendations on how to maximize network efficiency. Every support call or email goes through a response ladder to ensure action is taken in a timely fashion. Tracedata is a group of experienced Information Technology Professionals. We specialize in helping businesses with their Information strategies, Information technology architecture, and developing internal policies and procedures. We are able to match your business goals and needs with the Information Technology necessary to meet your requirements. Since our inception in 1986 Tracedata continues to provide a complete range of computer equipment and related services. We consult, design, implement, service and maintain systems and networks for a variety of Businesses including Golf Clubs, Accounting, HVAC, General Contractors, Schools and Non Profit Organizations.